This new technique promises procedures that can eliminate tooth decay and the need to drill and fill teeth forever. The key is to catch tooth decay early so that your dentist can determine the best treatment to stop the decay! 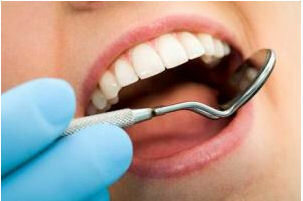 Unfortunately many people have a fear of dentistry and put off treatment until more extensive treatment is required. Many patients have a tendency to ignore or put off recommended bi-annual check-ups and ignore signs of decay that cause existing problems to get worse and possibly hide early signs of decay in other teeth. At the University of Leeds researchers have developed a revolutionary new way to treat the first signs of tooth decay. Their goal is to educate and train dentists about this process and provide them with a peptide-based fluid that your dentist will literally painted onto the tooth’s surface. The peptide technology is based on knowledge of how the tooth forms in the first place and stimulates regeneration of the tooth defect. Larrondo Dentistry of Hemet, California is constantly looking at new procedures and technology to help patients maintain excellent oral health. If you have question concerning your oral health, please feel free to contact Dr. Jorge E. Larrondo at 951-925-6596 or stop by our office at 160 South Santa Fe street in Hemet to schedule an appointment.